Jase Jergensmeyer was the bully that tortured me growing up--the kind of boy who would pull my pigtails and call me names in elementary school. He was never supposed to be anything other than a menace. He wasn't meant to be anything other than the definition of what I didn't want. Things don't always happen the way we plan, and sometimes we ask God why he puts things in our path, but the most important thing to remember is: Life is an adventure, and if we all knew how it would play out, we never really would be living, would we? You know me as Shelby, the eight-year-old girl that went through hell with my sister, Ari, but I have my own story to tell. 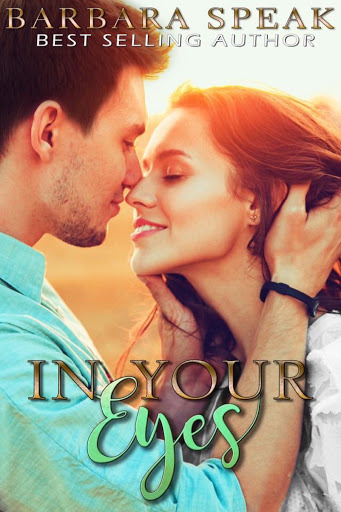 In Your Eyes is a follow-up novel in the Let It Be series. The first two novels, Let it be Me and Let it be Us, do not have to be read first to enjoy this story, but you will get to know the characters involved in this novel if you do.